As a freelancer, you are more than an expert graphic designer, web developer or copywriter; you are the CEO, CMO, and CFO of your business. As such, you are the one for managing, maintaining and growing your lead pipeline. These tasks are arguably the hardest part of being a freelancer, and the ones you have to invest the most time in. To ensure your revenue generation grows, you need to continually create leads for your business. But how do you do that when you’re busy doing everything else? Lead generation campaigns are often pushed to the side by freelancers because of the cost associated. While lead generation campaigns do traditionally cost money, some campaigns cost little to nothing (and can yield surprisingly positive results). While the ROI on such leads is high, it may take longer to convert these leads. Referrals are a great way to generate leads for your business, as they are often provided by customers that have an established professional relationship with you and are satisfied with the quality of work you create. Because of this, leads generated through referrals are often the highest converting ones. In an ideal world, your customers would shout your name from the rooftops to anyone looking for a service provider with your skill set. In reality, you need to remind your customers to spread the word about your services. The way to do that is by continually touching base with clients, even after completing a project with them. Beyond nurturing a long-lasting relationship, a little promotion can go a long way – consider offering a special discount or freebie to clients that spread the word about your freelance business. Aside from potentially generating new leads, it just may bring past clients back to you for repeat business. Most freelancers will find that their target audience is available online on social networks and forums. To generate leads for your freelance business without spending money, all you need to do is be active on these forums. Many businesses often seek freelancers and being active online is a great way to help bring businesses to you. If you are a content writer, for example, seek out local and global Facebook and LinkedIn groups for content writers. If you are a web developer, be active in relevant forums on Reddit and Quora. The key to generating leads by being active online is by sharing your experience and knowledge for free. This is the way to establish yourself as a trusted authority in your domain as well as build relationships in today’s digital age. While answering questions and sharing your experience, you will find people will begin tagging you when businesses seek freelancers, slowly building your lead pipeline. If you have a website and are looking to generate leads without investing money or time, a great way to do that is by having a website lead capture form. Make sure your form is clearly visible – The key to this is having your lead generation form, if not a pop-up, placed above the fold. Minimize friction – Leads do not know a lot about your business and as such, will not be keen to give you a lot of information. Ask for the bare minimum to increase the chances of capturing their information. Showcase compliance – People today are protective over their personal information. Make sure to clearly outline what the data you collect will be used for and how you will protect it. As a marketing consultant, this is one of the things that need to be placed in the “do as I say, not as I do” category. This is because launching campaigns for your own freelance business always falls to the bottom of the to-do list (if it’s there at all). However, if you are not generating as many leads organically as you would like, it may be precisely what you need. When planning a paid lead generation campaign, make sure to build a budget that is manageable for your business and will yield results. For example, if you want to promote your business on Google, having a $5 a day budget will likely not be effective. Remember that the visitor to lead ratio is often around 2-3%. That means that to get two leads, you will need 100 visitors to your website – something $5 won’t necessarily get you. Launching a niche campaign is a great way to generate new leads in a particular domain or one that requires a specific skill set. This is because when targeting your niche, you can hyper-focus on the exact client you are looking for and create an offering that is expertly suited for their needs. It is often more useful to launch a niche campaign. The alternative of offering all your services to all possible clients requires more resources, making it ineffective if your goal is immediate lead generation. For example, I work with clients in a variety of industries and offer a range of services including strategic consulting, go-to-market-strategy creation and complete brand repositioning. If I were to take my own advice, I would launch a campaign specific to one audience – e.g., B2B SaaS startups – and focus on a single service that I believe they can benefit from. When creating your campaign, it is essential to have the marketing collateral to make it as effective as possible. Once you have decided on your niche, you will need to have a special offer for that niche and a primary message relayed throughout the campaign. The collateral you need for your niche campaign will depend on the type of campaign you are launching. If you are launching a campaign on Google, you will need creative copy and banners according to Google’s ad sizes; if you are launching a campaign on social media, you will need to have a well-maintained business page and a different set of banners and creative copy. A dedicated landing page – The most effective way to capture leads is on a dedicated landing page. If you direct potential clients to your website, you risk losing them – especially if your campaign is niche and your website is general. Have a dedicated landing page that has a clear and concise lead capture form at the top. Offer valuable gated content – If you are looking to generate leads, remember that potential clients will not give you their email address just because you asked for it. Create a unique offer or valuable gated content that potential customers will want enough to consider giving you their email address. Follow-up lead funnel – Once you have your lead, make sure you follow up with them by creating a follow-up funnel. If you are sharing gated content via email, send it within a timely manner. If you are not sending the gated content by email, have a follow-up funnel sent to your leads after 24 hours, three days and one week to remind them of your service or special offer. Do Not Over-Promise and Under-Deliver. The most important thing to remember when generating leads is that you need to be able to deliver on what you promise. If you don’t, you may get a few leads as clients, but they will not be coming back to you, nor will they refer you to others. That is why, as a freelancer, you need to make sure to take on projects you can handle timewise and skill wise. Do not launch massive lead-generation campaigns if you cannot handle the influx of leads and potential work that they may bring. Doing so may cause your freelance business more harm than good (although there is something to be said about conveying to clients that you are busy and not always immediately available to them). 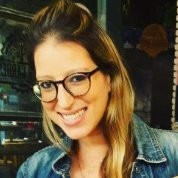 Shlomit Harary is the founder of SHEvooking and an experienced marketing consultant who does not employ enough of these tips for her own freelance business.